Figure 1 from Pauling’s superconductivity patent. 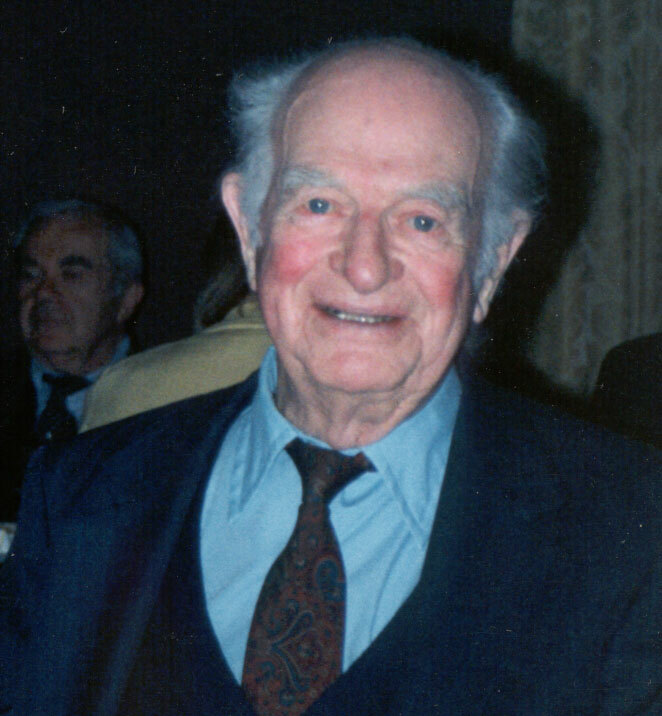 As they continued to explore possibilities for creating improved superconductors, one challenge that Linus Pauling and his associates faced was in verifying that their technique was successful. This was in part due to the fact that measuring changes in superconductivity was very difficult, given the small diameter of the tin used and the challenge in gaining ample contact. Attempting to gauge the efficacy of their superconducting material, Pauling’s colleague Zelek Herman sent a sample off to Dr. Howard Hart at the General Electric Research and Development Center in Schenectady, New York, requesting that Hart run tests of their samples to determine a temperature of superconductivity (Tc), if one existed at all. It is from this communication that we are able to learn much about the the samples that the group created. Herman sent two vials to be tested, with a third vial to be used as a reference. The first vial contained a piece of a strand of a superconducting niobium-titanium seven-stranded cable about 9 cm long. This was produced by snipping off a piece of one of the strands, immersing it in 90% formic acid for one hour, rinsing it with deionized water, and drying it with a paper towel to remove residual heavy formvar. Then it was rubbed with fine steel wool and blown with compressed air. The contents of this first vial were to serve as the reference for testing the wires in vials two and three. 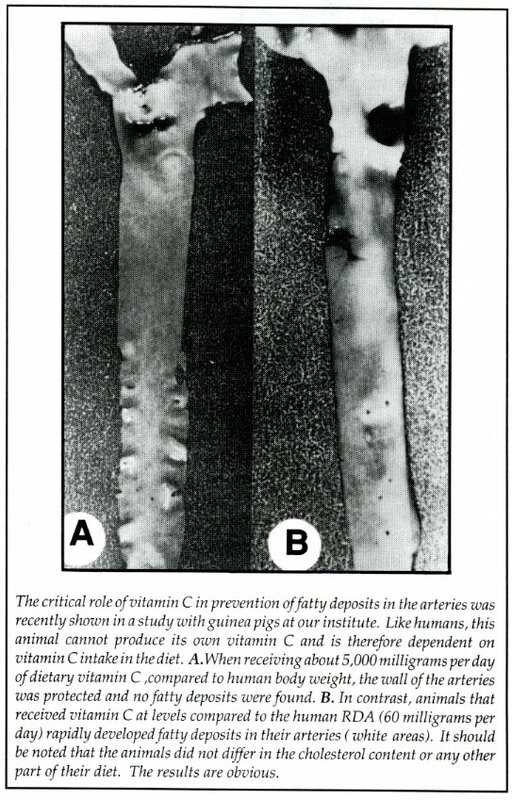 The second vial contained a piece of similar length, but the mass was much less and it was 0.05 mm thick, as opposed to the reference sample’s 0.8 mm diameter. The third vial contained three pieces of square wire ranging between 9 and 11 centimeters, each of which had a diameter of about 0.3 mm, and estimated to be about 4.8% superconducting material. At the end of Herman’s accompanying letter to Hart, he added that he did “not expect any elevation in Tc for any of these samples; rather, this is a test to see if you can detect a superconducting transition for samples containing a small, but continuous, amount of superconductor.” Hart’s reply, if one was sent, is not held with the copy of Herman’s original letter extant in the Pauling Papers. 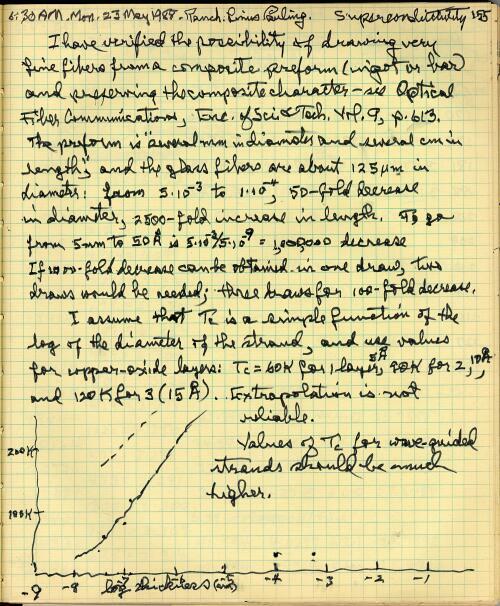 Early Pauling notes on superconductivity, August 1971. First drafted in May 1988, a copy of the patent application for Pauling’s “Technique for Increasing the Critical Temperature of Superconducting Materials” was returned to Pauling on December 7, 1990, with requests from the Examiner to make some changes. The deadline to return the application was tight but Pauling complied, submitting his changes on December 12. 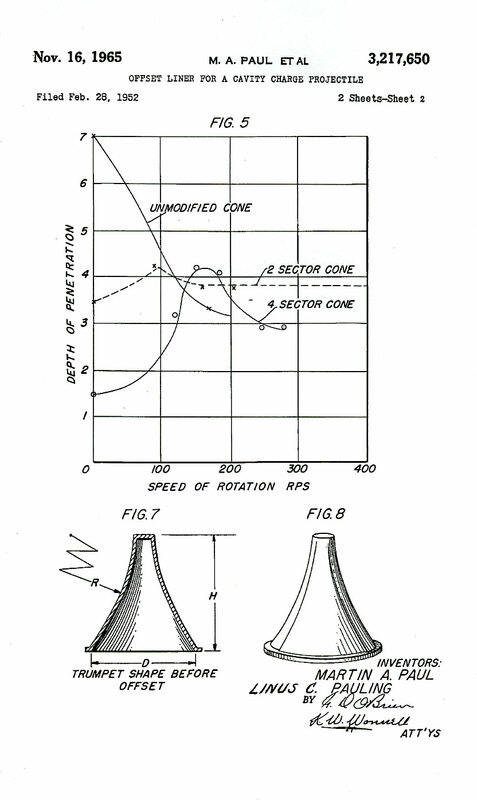 Finally, on October 27, 1992, the group’s four years of work came to fruition in the form of a patent. The “Method of Drawing Dissolved Superconductor,” Patent No. 5, 158, 588, was a continuation of application serial number 7/366, 574, which was filed on June 15, 1989. The June 1989 application was, in turn, a continuation of the initial patent application number 7/200, 994, filed May 31, 1988. 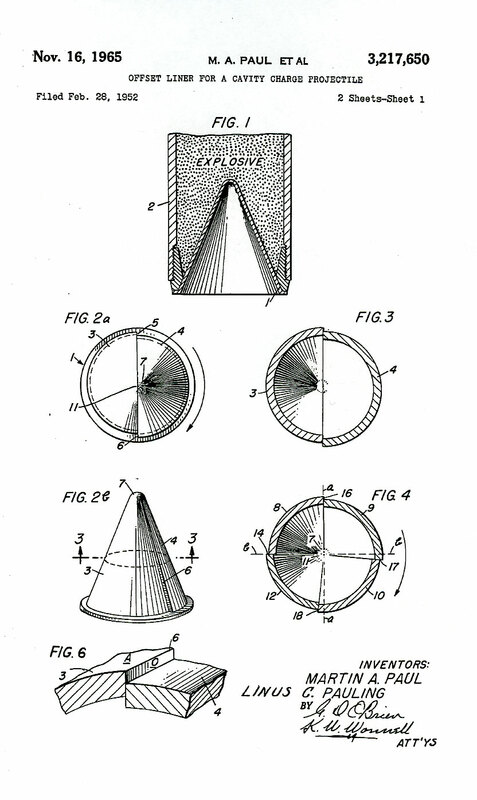 The final patent included basically all of the components of the previous patent applications. The invention provided “a technique for increasing the critical temperature, critical magnetic field, and maximum current density of any of a range of already known superconducting materials.” As in descriptions of the invention submitted with previous patent applications, the structure was the same: superconducting material in the form of fine strands was embedded in a “wave-guiding matrix” which was to be made of some non-conductive material. In its “Overview” section, the patent states that the superconducting strands within the matrix are generally round and that optimum strand diameters should lie in the range of 50-2000 angstroms. Various techniques are provided – using one method, a composite billet could be formed of bars of the superconducting material surrounded by bars of the matrix material and then stretched until the desired diameter was reached. Figure 2 from Pauling’s superconductivity patent. A different method entailed the use of a porous matrix, such as an artificial zeolite or an aluminosilicate, the pores of which are filled with the superconducting material. This done, the entire ingot could be stretched to reduce the diameter of and align the superconducting strands. Another aspect of the invention proposed that strands of a crest superconductor and strands of a trough superconductor could be “alternating and insulated from one another in the matrix.” The relative amounts of the two superconductors would minimize phonon interaction. “Method of Drawing Dissolved Superconductor” was one of the last inventions that Pauling patented and among the last lines of research that he pursued after a lifetime of scientific accomplishment. 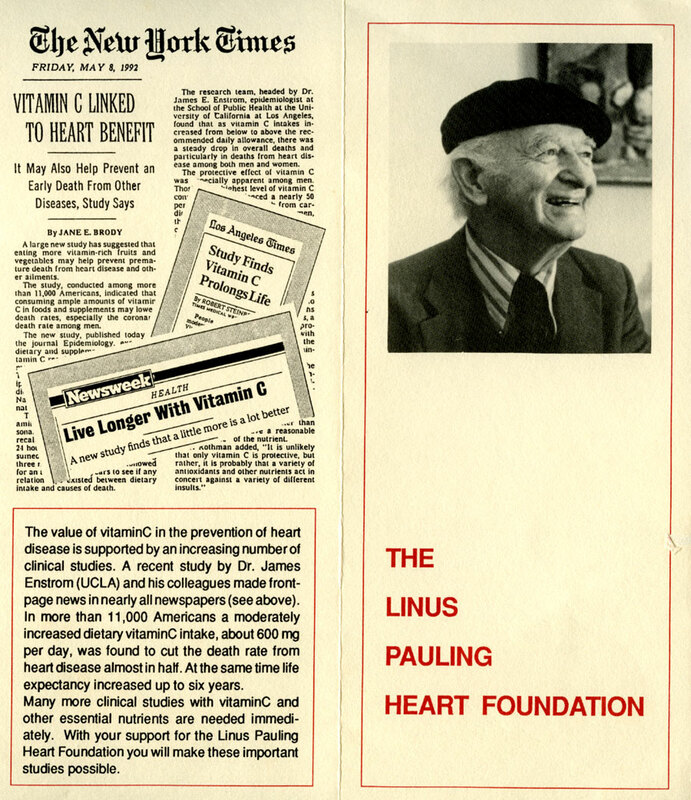 Steve Lawson, one of Pauling’s associates on the project, noted in an August 2011 interview that Pauling’s goal in pursuing the superconductor patent was to raise money for the Linus Pauling Institute of Science and Medicine. By the time that his superconductor invention was patented, Pauling was in his early nineties and not interested in adding to his personal wealth; rather, he hoped instead to help stabilize the Institute’s chronically shaky finances. After Pauling’s death in August 1994, the project fell into neglect, primarily because stable funding could not be secured. However, superconductors continue to be important today in a wide range of uses, including Magnetic Resonance Imaging machines, maglev (“magnetic levitation”) trains and electric generators. Further research in the field of superconductivity is likely to continue to flourish for a number of reasons. Clearly the commercial application of higher temperature superconductors is a primary motivation. Likewise, according to the authors of 100 Years of Superconductivity, published in 2012, “establishing the range of existence of superconductivity among material types is obviously an important scientific question, and this purely scientific motivation drives the search for new superconductors to this day.” The book also states that there is no known reason why much higher temperatures of superconductivity should not exist. It would stand to reason then that the scientific community will continue to explore temperature and material limitations as time goes on, continuing a course of research that included Linus Pauling in its beginnings. Until the late 1980s, the generally accepted theory of electric superconductivity of metals was based on an understanding of the interaction between conduction electrons and electrons in crystals. The critical temperature of superconductivity was thought to be below about 23 degrees Kelvin (roughly -418 degrees Fahrenheit), but in the late 1980s, it was discovered that superconductors could have critical temperatures above 100 degrees K, which threw the theoretical understanding of the subject into confusion and controversy. The discovery also spurred an effort to find new materials with an even higher Tc, or temperature of superconductivity; perhaps as high as room temperature. The process of developing a superconducting product that Linus Pauling and his associates thought might be viable took several months and much collaboration, beginning in early 1988. Along with Pauling, other members of the Linus Pauling Institute of Science and Medicine, including Zelek Herman, Emile Zuckerkandl, Ewan Cameron and Stephen Lawson, worked on the project. When the researchers finished the task, Pauling was ecstatic and invited Herman and Lawson to his home, giving them large mineral crystals as gifts and offering to inscribe their copies of General Chemistry to commemorate the occasion. Their invention aimed to form a composite structure in which superconducting materials assumed the form of fine strands embedded in a wave-guiding matrix. The matrix restricted the superconducting current to a linear motion; however, the strands did not need to be straight, but could also be bent or interconnected into a network. This matrix would be built of a non-conducting material such as glass. Pauling notes on superconductivity, 1988.
by selecting the best superconducting and matrix materials and the optimum strand diameter, it should be possible to obtain a composite superconductor with critical temperature above room temperature, critical magnetic field above 100 tesla, and critical current density above 108 amperes per square centimeter. In the group’s patent description, a few variations on this technique were listed that were thought to increase its effectiveness. One variation involved the embedding of two types of superconducting materials into the matrix instead of one. A suitable composite structure of this type could include strands of lanthanum and tin embedded in glass with a softening temperature of about 950˚C. The description also noted a couple of different ways that the matrix material and superconducting material could be joined together. In one variation, the matrix was constructed as a tube and the superconducting material poured in and afterwards “drawn,” or stretched. Then several of these tubes containing superconducting material were joined together and stretched simultaneously, over and over, the same way Italian millefiori glass beads are made. Another variation utilized the filling of a porous matrix with a liquefied superconductor, whereupon the whole apparatus was heated and stretched. 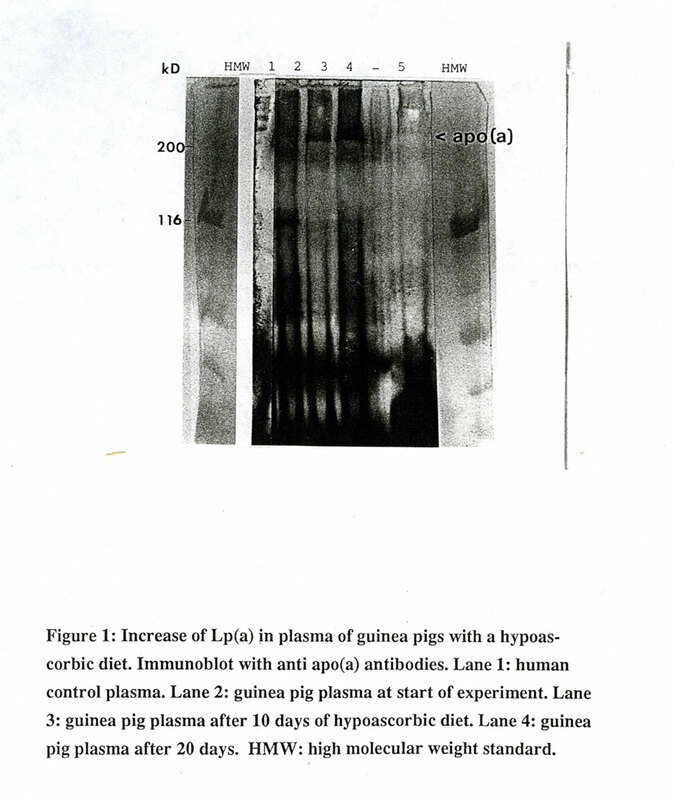 The group admitted to problems with these methods, but Pauling thought up solutions. One obstacle was that the melting point of glass might be lower than that of the superconducting material, which would make it impractical to draw glass or other material with the superconductor. Pauling’s method of solving this problem was to add a powder made up of the superconducting material to the glass in order to reinforce it. The article continued that the new superconductors could conduct electricity at temperatures as high as -235 degrees Fahrenheit, whereas previously it had been thought that superconductivity could occur only at about -420 degrees Fahrenheit. The new temperature, the article concluded, would be much easier to achieve in laboratories. 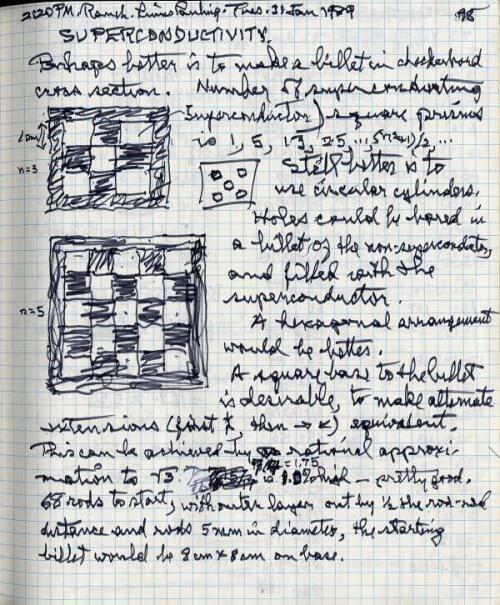 Pauling notes on superconductivity, January 1989. Richard Hicks, Vice President of LPISM at the time, wanted to license Pauling’s invention, “Technique for Increasing the Critical Temperature of Superconducting Materials,” to U.S. companies, but was met with little positive feedback. As such, he instead attempted to license the invention to Japanese companies after hearing that Japan was also interested in the commercialization of superconductors. No Japanese companies showed interest either, but the CIA did come calling to ask why the Institute wanted to license a patent to Japan. Over the course of their interview, the CIA representative showed extensive knowledge and interest in the project. In explaining the Institute’s position, Steve Lawson clarified that no American companies had been interested in the purchase, so LPISM was compelled to look to other countries. In 1988, the same year that the LPISM research group had begun work on the high-temperature superconductor, Pauling, Hicks and Zuckerkandl set up the Superbio Corporation to administer the business side of the invention. Initially Pauling assumed the role of Chairman of Superbio and Richard Hicks was President. Pauling believed it would be successful and invested in the company, owning 300,000 shares in Superbio, Inc. by the end of August. On August 12, 1988, Superbio entered into discussions with the Du Pont Company, which wanted to evaluate Superbio’s information on superconductivity with a view to “possible business activity.” In turn, Du Pont Co. was sworn to secrecy regarding Superbio’s research. Rick Hicks and Linus Pauling, 1989. Not long after, on August 31, 1988, Pauling and IBM drew up a draft agreement in which IBM agreed to purchase the patents and/or patent applications for high temperature superconductivity from Pauling for the sum of $10,000. The document described Pauling’s invention in detail, stating that it “provides a technique for increasing the critical temperature, critical magnetic field, and maximum current density” of superconducting materials. In addition, IBM was to pay Pauling “a royalty of five percent of the manufacturing cost of the patented portion of any apparatus made.” The patent would become fully paid when IBM had compensated Pauling to the tune of $2 million. In early 1989, Superconductor News affirmed the fears voiced by the New York Times in October 1988 that the U.S. was falling behind Japan in the race to commercialize superconductors. Their January/February issue included a report on presentations given by the United States Superconductor Applications Association (the SCAA), which included Japanese developments in “SC power transmission, SC magnetic energy storage, SC generators, SC electromagnetic ships, SC electronics and computers, and the SC linear motor car (maglev).” Superconductor News also discussed the possibility of impending confirmation of superconductive materials that could operate at room temperature (Ambient Temperature Superconductors, or ASCs). Potential uses for room temperature avionics applications were listed as thermoelectricity, solid state synchron sources for x-ray lithography, and applications for earth and planetary sciences, medicine, biology, and physical sciences with Extra Low Frequency (ELF) magnetometry. In response, the Exploratory Research and Development Center in Los Alamos, New Mexico, was set up to boost the U.S.’s superconductivity research infrastructure. The Center was interested in collaborating with Pauling after he sent them a letter in July 1989 in which he mentioned his patent application on high-temperature superconductivity, which by that point had been turned over to Superbio. Pauling’s faith in the company was evident – by the end of November 1990, he owned 900,000 shares of common stock with Superbio. Bolstered by the seeming momentum of Superbio, the interest of other companies in Pauling’s superconductivity invention, and a patent in the works, the future for this work looked promising. 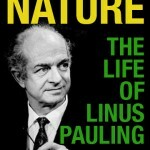 In the late 1980s, as Linus Pauling neared his ninetieth birthday, he became interested in a new and exciting scientific endeavor: high-temperature superconductivity. While most of the field’s researchers at that time were focusing on the use of ceramics to promote superconductivity, Pauling decided to focus more on techniques for raising the temperature at which materials became superconducting in order to facilitate their usage in industrial and research settings. High-temperature superconductivity, or high-Tc, was a technique discovered in 1986, so in early 1988, when Pauling took up the topic, the field was still wide open to exploration. So what is high-temperature superconductivity? According to a 1988 business agreement drawn up between Pauling and IBM, the definition of a “superconducting product” is “any product which contains any material which loses substantially all electrical resistance below a transition temperature above 77 degrees Kelvin.” Basically, according to this description, a superconductor is a substance that loses electrical resistance when heated to a point between 77 degrees Kelvin and some higher temperature. Pauling’s first step in exploring specifically high-temperature superconductors was to contact Dr. Zelek Herman, a biochemistry professor at Stanford and close colleague of Pauling’s at the Linus Pauling Institute of Science and Medicine (LPISM). Pauling’s somewhat unusual request was that Herman create a few color slides for him of the cover of American Scientist. The particular issue that he wanted depicted the structure of a high-temperature superconductor. A month later, Pauling wrote to Herman again, this time about the possibility of obtaining a Naval Research grant to fund an investigation of the “resonating valence bond theory of superconductivity.” In developing the proposal, Pauling emphasized the importance of both fluxon theory and a method of calculating interaction with phonons by using the relation between bond length and bond number. 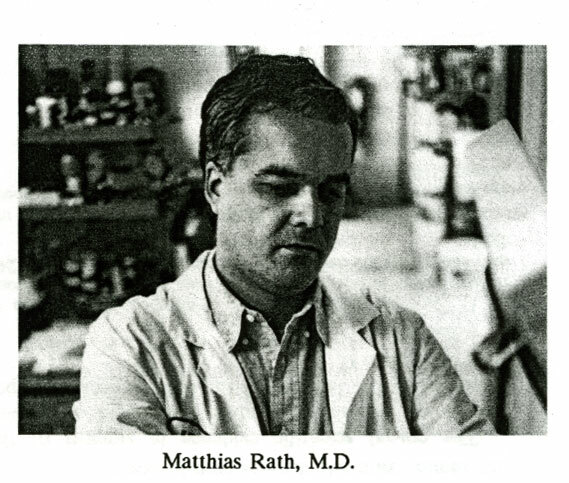 The latter method had been formulated by Pauling in 1947. 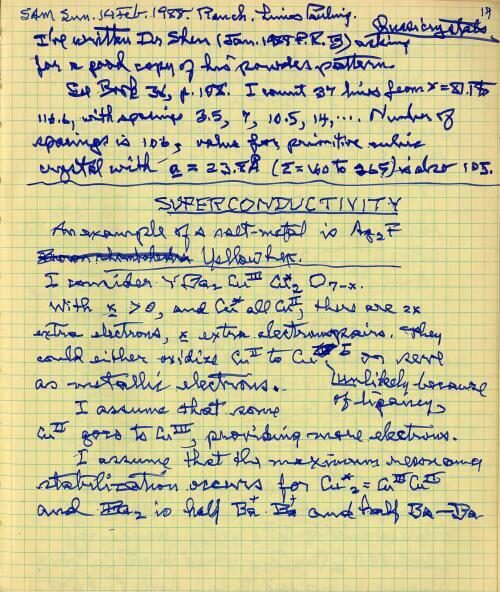 Pauling notes on superconductivity, February 1988. 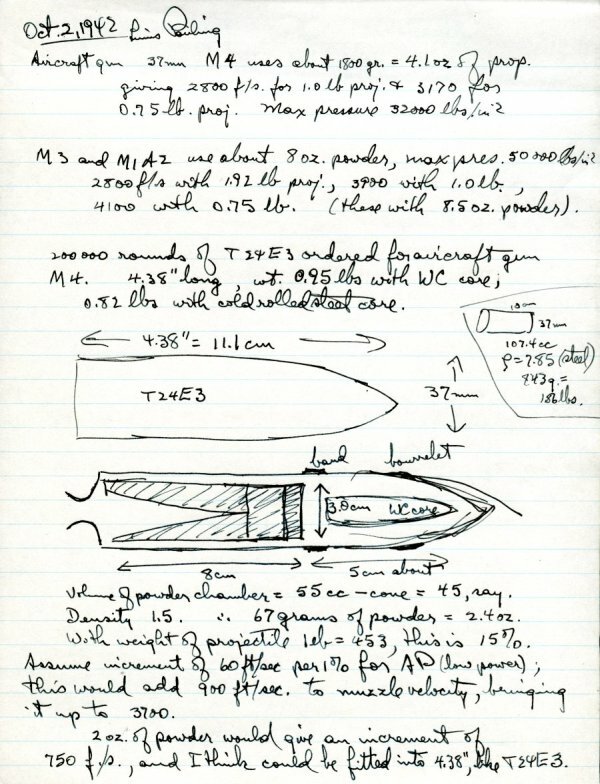 According to Pauling, an idea for creating a superconductor occurred to him while he was thinking one day about how Damascus steel was made for swords in the Middle Ages. The exact process by which Damascus steel was originally fabricated is unknown, but one way of reproducing it is through billet welding, where layers of steel are folded over and over and then stretched until a desired thickness is reached. Pauling believed his superconductor would work because of a process of phonon dampening, which consisted of taking a conductive metal such as tin, drawing it to a very fine diameter, specifically 10-20 angstroms (one angstrom is equivalent to one-ten billionth of a meter) then insulating the metal with non-conductive material, such as glass. Doing so would raise the superconductive temperature, or Tc, of the metal. Pauling worked on the project together with LPISM associates at a facility that the Institute leased at the Stanford Industrial Park in Palo Alto, California. As the work progressed, Zelek Herman developed a creative way of collecting material for the superconductor. His method called for inverting a bicycle, taking the tire off of one wheel, setting the wheel on a block of wood, heating a tin fiber above a furnace with torches, turning the wheel using the bicycle’s pedals, and collecting a thin strand of material on the rim of the wheel. Pauling was very engaged in the process and would occasionally drop by to assist in the experimentation, sometimes by wielding the torch used in stretching the borosilicated tin while standing over an 800-degree furnace. 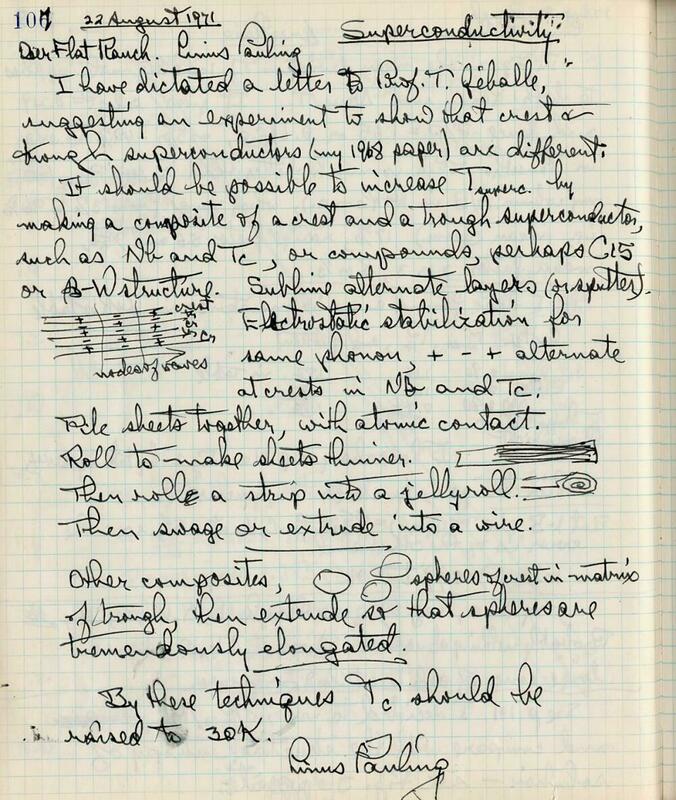 Many pages in Pauling’s research notebook from that time show that he was likewise researching and working on calculations related to superconductors. The calculations first start to appear in February 1988 and, by Spring, he believed he had enough material to patent his idea. He filed a patent application for his “Technique for Increasing the Critical Temperature of Superconducting Materials” on May 31, 1988.